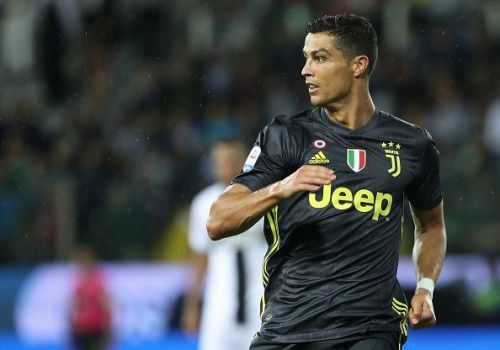 Portuguese ace Cristiano Ronaldo's big move to Italian side Juventus is yet to bear fruit despite the team having won its opening Serie A fixtures. Ronaldo left Real Madrid to join the Italian giants for £99 million this summer but is yet to find the net in the Serie A. The goal-scoring ace has drawn blanks against Chievo, Lazio and Parma despite playing all 90 minutes in each fixture. With hopes to rediscover the Portuguese superstar's goalscoring form, Juventus has now asked its coaching staff to put the five-time Ballon d'Or winner on a new fitness regime. The specialized training plan has been put in action for Ronaldo to ensure that he is at his peak by the turn of the year. Italian newspaper Tuttosport explained the situation as, "Cristiano Ronaldo has taken this type of programming a step further, because during the seasons he has studied together with the experts of Real Madrid the evolution of his body and therefore has adapted his way of working." "Over the years, Ronaldo learned to control himself: he did not have all the energy when he first signed. "He considered that being ready from the beginning of the season could be counterproductive and even risky because of the probability of fatigue, if not injury, would increase during the decisive phase of spring. "That is why in recent years he has slightly modified his plans." Despite Ronaldo's goal drought at Turin, manager Massimiliano Allegri insists that he is happy with the Portuguese's performances so far. 😂😂😂😂😂Imagine having to be put on special training just to try score 1 goal. Cristano Ronaldo has been placed on a special training regime at Juventus with the aim to help him understand million of weirdos that happened to be juventini. I think Ronaldo may struggle at Juve to score goals and produce the kind of form he enjoyed during his spell a Madrid. He had a better creative players around him at Madrid than what he has now at Juve. Juventus will hope to be back to winning ways, not only domestically, but also in Europe this campaign. The 33-year-old ace was brought in to help the Old Lady win not only the domestic title but also the Champions League, with the defending Serie A champions having reached the European competition's finals twice in the past four years.